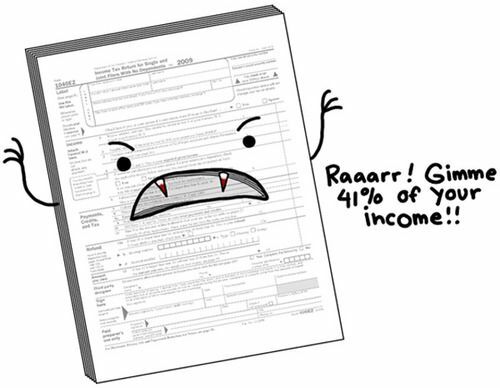 The word “tax” meant a very mean obscure monster that eats away most of my salary which is already peanuts. I never checked my payslip and I didn’t understand where my salary went away. Once I realized that tax is something that is going to exist forever and ever sucking away all my salary, I decided finally to be an adult and understand tax. FY: It’s 2017 March now, so right now financial year is FY 2016 April to 2017 March. Basic salary : Fixed part of salary. PF: 12% of Basic will be deducted from your salary into your PF account. Same amount will be paid by your company. So you will get 24% of Basic into your PF. You can increase your contribution to PF beyond 12% to reduce tax. Allowance: Conveyance(commute to office), LTA(vacation within India), HRA(up to 2.5L), DA, Medical bills, Special allowance, sodexo/meal card etc. Prof tax: 2400 per year in general as per most of the salaries. For example, professional tax, conveyance and HRA will be exempted. That is they are not taxable.Under 80C investments, you can claim up to 1.5 lakhs. This includes house loan principal amount, mutual funds, LIC. Investments also include your PF contribution, PPF, shares, educational loan, house loan interest,etc. If your taxable income is less than 5,00,000, then you will get a tax relief of 5000 under section 87A. On top of your tax, additional 3% will be levied on tax for CESS. CESS is something that’s used for government schools funding. In general, medical and LTA are reimbursed at the end of the FY. Also meal card/sodexo amount are also not added to your salary but instead to meal card. PF and professional tax are also deducted from your salary. So after these deductions, let’s say your gross is 7.2 L.
The good news is that the tax slab from 2.5L to 5L is reduced to 5% from 10% for FY 17-18. Phew, that’s a lot of money talk for today. Please post any corrections in comments.